What a great monster by artist Damon Hellanbrand. 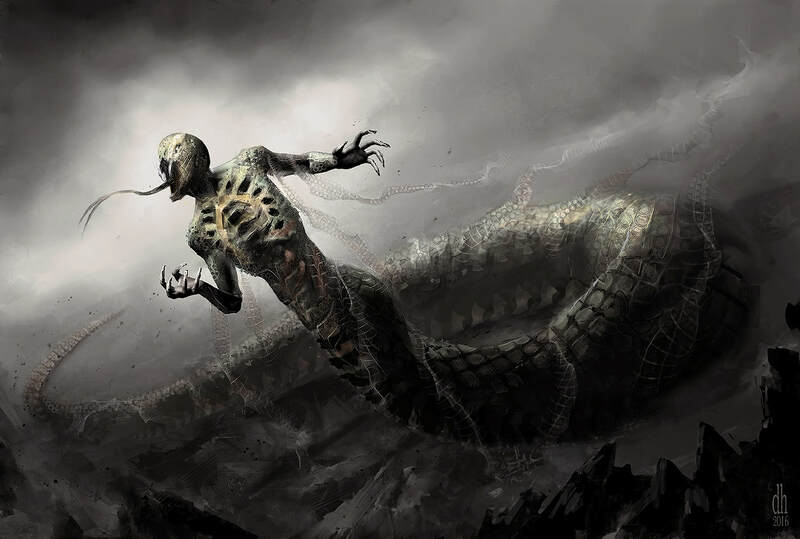 Geryon is the Lord of the 6th Hell and claims dominion over all serpents. It's a fun title. Serpents lack enough sentience to serve Geryon, though he fancies the title. Sentient serpents do not regard Geryon as their god, like nagas and the yuan-ti. It is said that Geryon made overtures to the yuan-ti but they were well into their worship of the Histakus, their own racial god.